It's been a lovely weekend here in Yorkshire and Martins rugby team won as well so that was a bonus. there is a twist which is purple. The main image is a Woodware stamp called Delicate Daisies which I have coloured with copics and then paper pieced the main blooms but not stuck all the petals down. The papers are a mix of Crate Paper and Basic Grey which I have overstamped with Judikins Mince Flourish. The ribbon slide came from Paper Cellar a while ago and the ribbon is from the purple jar which has since had a tidy. Pearls are from Hobby House and I have embellished the image with Perfect Pearls. Fantastic! Love the punched flowers and the pearl embellishments. Thanks for joining us this week. Oh Anne what a yummy card. I totally love what you've done with your image especially paper piecing the flowers. 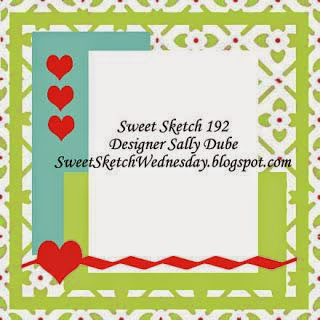 What a great idea over stamping you paper with flourishes might just have to try that. Totally love all your added embellishments. 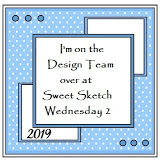 This is a lovely card and thanks so much for sharing it with us over at Sweet Sketch Wednesday 2 and good luck. How beautiful! Love the purple flowers and pearly dots. Perfectly stunning! 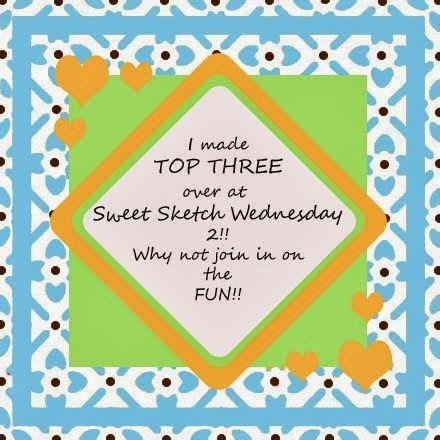 Thanks for joining us at Sweet Sketch Wednesday 2. Gorgeous card Anne - LOVE how you popped your flowers right off the card!! Wonderful!! Always love to see your cards here at SSW2! !